Drop/Add Ends 9/4/18 4:00 p.m. Mid Term Grades Due 10/19/18 4:00 p.m. Deadline for Course Withdrawal 11/16/18 4:00 p.m. Classes End 12/10/18 10:00 p.m.
Grades Due 1/28/19 4:00 p.m.
Drop/Add Ends 1/22/19 4:00 p.m. Mid Term Grades Due 3/15/19 4:00 p.m. 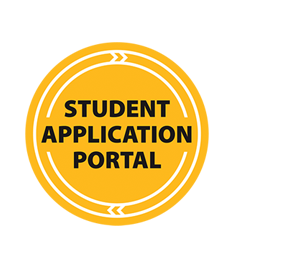 Deadline for Course Withdrawal 4/12/19 4:00 p.m.
Grades Due 5/13/19 12:00 p.m.
Drop/Add Ends 5/17/19 9:00 p.m.
Withdrawal Ends 6/1/19 4:00 p.m.
Grades Due 6/9/19 4:00 p.m.
Withdrawal Ends 6/14/19 4:00 p.m.
Grades Due 7/1/19 4:00 p.m.
Drop/Add Ends 7/3/19 4:00 p.m.
Withdrawal Ends 8/2/19 4:00 p.m.
Grades Due 8/17/19 4:00 p.m.
Drop/Add Ends 8/31/18 4:00 p.m.
Grades Due 10/18/18 12:00 p.m.
Drop/Add Ends 10/24/18 4:00 p.m. Deadline for Course Withdrawal 11/30/18 4:00 p.m.
Grades Due 12/11/18 12:00 p.m.
Drop/Add Ends 1/18/19 4:00 p.m. Deadline for Course Withdrawal 2/22/19 4:00 p.m.
Grades Due 3/11/19 4:00 p.m.
Drop/Add Ends 3/15/19 4:00 p.m. Deadline for Course Withdrawal 4/19/19 9:00 p.m.
Grades Due 5/3/19 12:00 p.m. Deadline for Course Withdrawal 10/26/2018 4:00 p.m. Classes End 11/5/2018 10:00 p.m.
Grades Due 11/9/18 12:00 p.m.
Drop/Add Ends 11/30/18 4:00 p.m. Deadline for Course Withdrawal 2/8/2019 4:00 p.m.
Grades Due 2/22/19 12:00 p.m.
Drop/Add Ends 2/22/19 4:00 p.m. Deadline for Course Withdrawal 4/19/2019 4:00 p.m.
Withdrawal Ends 7/12/19 4:00 p.m.
Grades Due 7/26/19 12:00 p.m.